By employing our proven method of conversion optimization, we can deliver more leads to your business even if we didn’t increase the amount of traffic visiting your site each month. The return on investment of your website will increase simply by capturing the business of a greater percentage of site visitors and reducing your website’s bounce rate. We invest a lot of time, energy and resources into your SEO, social marketing and PPC campaigns and you’ll want to make certain that your website is taking full advantage of all this increased traffic. 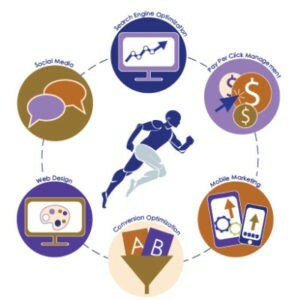 We at Marketing Bionics fully realize the importance of conversion rate optimization. Our tactical revisions to your site elements and content structure will ensure that you are not losing valuable prospects. According to Wordstream, a leading software vendor in the Internet marketing industry, the average conversion rate across the majority of websites today is around 2 percent, meaning that 98 of a 100 guests exit without taking action. Most ad agencies will attempt to deliver additional traffic in order to compensate for these “missed opportunities”. 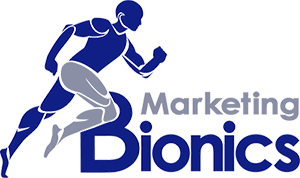 Marketing Bionics will make revisions to your site structure and content in order to minimize the number of visitors that navigate away from your site. It has been our experience that there will only be a certain number of consumers in any market that are in “buying mode” at any given time. “More traffic” is not always an option, so it makes sense to convert more of the traffic that you are already receiving. When we turn more visitors into leads, you will see a higher return on your investment. We firmly believe that any conversion optimization strategy begins with proper research and testing. We’ll perform a thorough analysis on your website traffic data to determine your typical visitor, how they find your site and their navigational habits. We will also talk to you to determine who your ideal clients are so we can better target those types of prospects. With this info in hand, we’ll have a much better understanding of how to enhance your content to ensure retention. With a variety of testing methods, we are able to easily identify the content that results in the most leads. In addition, we have the ability to feature specific elements across your site for maximum conversion rate optimization. Our goal is to help you make the most of your hard-earned traffic through our comprehensive, quality services. Please call or contact us today for additional information and get started with a free marketing audit.